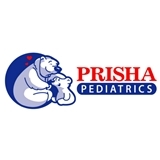 Prisha Pediatrics Inc (Milpitas) - Book Appointment Online! We accept all major insurances. Please call our office to verify insurance eligibility. I brought two kids in and dr. Negandhi was so wonderful. Spent a good amount of time with us and we didn’t feel rushed at all despite having so many forms for camps, work permits, and Fall school physicals. Great personality.